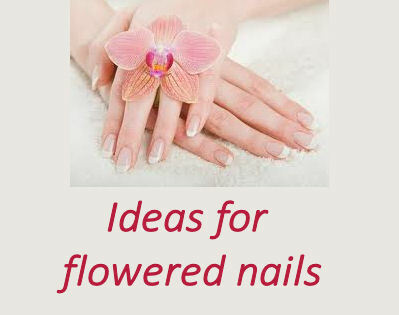 A few times in my life, I’ve found myself spending lots of times on taking care of my hands. Those times are sort of fleeting though. 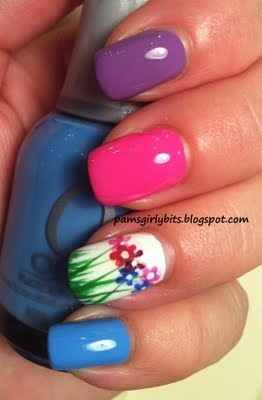 I spend so much time digging in the dirt in my garden that nice nails are just something to dream about, not have. 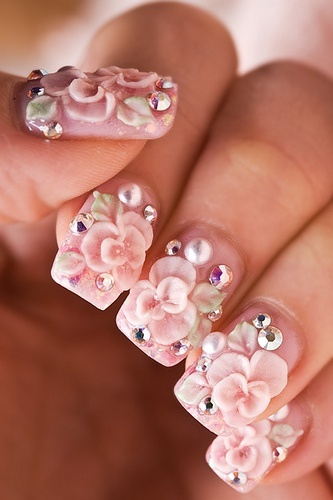 For that reason, these pretty Flower nails inspire me. 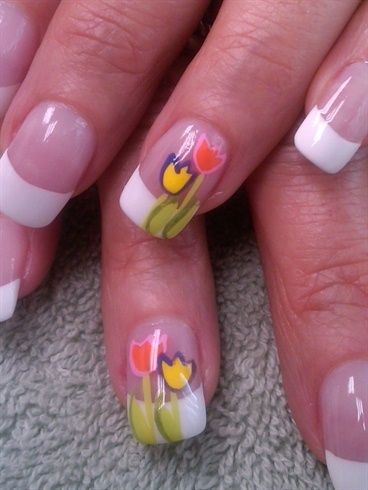 They combine a wish for pretty hands and a love of gardening into one! 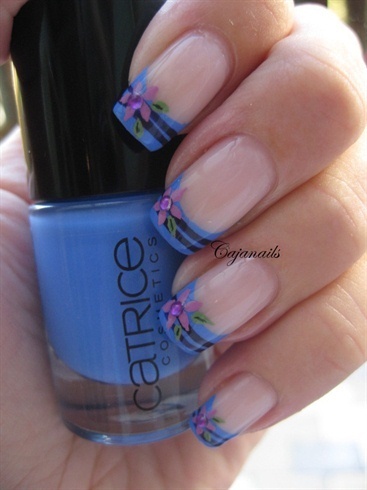 Do you spend much time on your nails? Please leave your comments below. 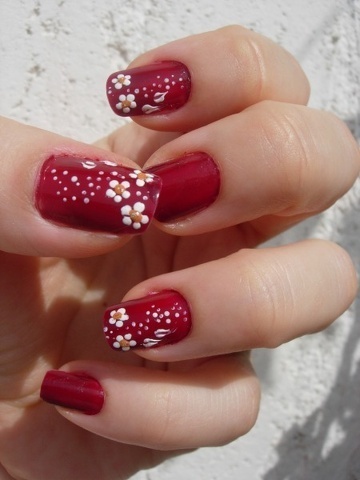 Dramatic Red design with white daisies on a few nails. Source: Women Items.